It is always good to look back at the year past and see what has been done and where the time went. 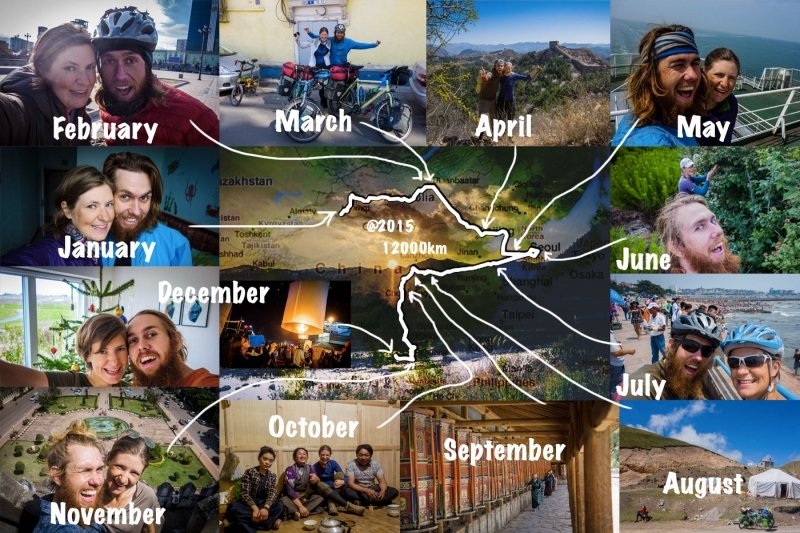 Here is our year in retrospect in 2015 – Year End Review – Bicycle Touring. January: We had an emotional start of 2015 when we went our separate ways for a while. Winter had definitely caught up with us and we had just celebrated the new year in Urumqi, China. Martin continued with his bike Mojo to Mongolia, while Susanne took the train east to consecutively Hohhot, China and Ulaanbaatar Mongolia. Martin battled through winter in the desert without snow to melt water and was welcomed by hospitable nomad Mongolians while Susanne volunteered at Capturing Neverland (a photo-project) and at Children of the Peak Sanctuary. 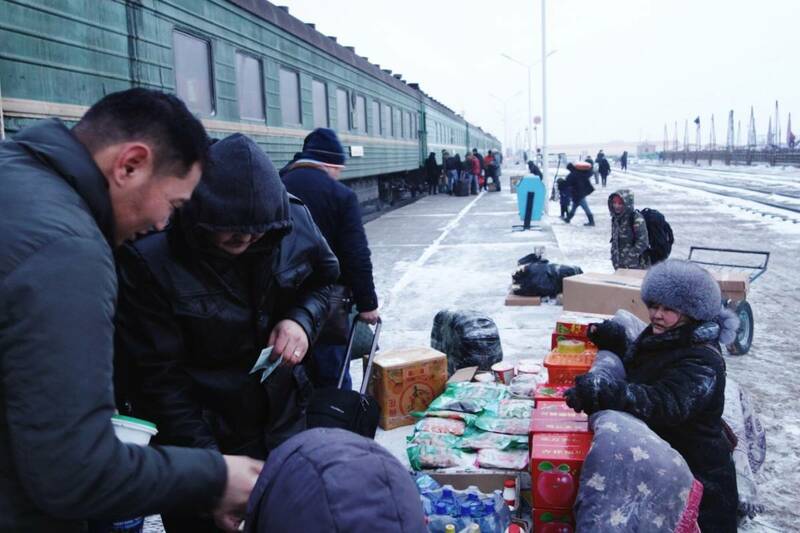 February: Finally Martin arrives in Ulaanbaatar after 2500 kilometres through desert and cold. It has been a great experience with a lot of learning and new discoveries. Susanne is still active with volunteering, now also at Flourishing Future and Lotus Orphanage. We are reunited and take time for winter to pass and feeling at home in Ulaanbaatar. We meet other cycle tourers Stephen Fabes, De Bruyn Joubert and Patrick Martin Schroeder. The Mongolian new year is celebrated during Tsagaan Sar and we take part in the festivities. We also enjoy some horse riding treks outside of the city on the banks of the frozen Tuul river with Horse Trek Mongolia. March: We start preparing for the next leg of our trip. We are working on our blog to further develop it and try to have an open mind to future plans. Martin start a Danish Facebook group Rejsecyklisten and Susanne starts a female only group Bicycle Traveling Women. Finally we depart from Ulaanbaatar and make our way south to the Gobi desert and the border with China. The day we cycle we are accompanied by a Mongolian cycle touring friend Nyam who also makes a small video of us. April: In Sainshand we spend a few days before we say goodbye to Mongolia. We cross the border with China and are looking forward to spring temperatures. First Inner Mongolia treats us with some more barren land and great vistas. After one snowstorm spring has finally come and we are happy about it! We visit the Great Wall at Jinshanling and head into Beijing for a short citytrip. We start cycling to Dalian. We can feel the coast is coming closer and it won’t be long before we have definitely crossed the Asian continent and have reached the sea! By the time we arrive in Dalian we are told the boat to South Korea is broken so we re-plan and find a boat to Yantai and then to South Korea. This month we also post the first blog about ‘This is how …’ in which we explain the things we usually don’t write about and which may be useful for others contemplating a bicycle journey. May: By the time we reach South Korea we have a lot of decisions to make. Luckily we can stay at a great host and we feel very welcome with Tim and his wife in Seoul. Martin needs to have a new pasport made and the Danish embassy is very welcoming. Martin decides to go home to visit his mother who is ill from cancer. Susanne starts WWOOFing at a farm near Jecheon. After returning to Seoul we have a short bicycle stint along the DMZ to the coast. June: By this time it is already June and Susanne’s mother with partner are visiting from the Netherlands. We sightsee in Seoul, rent a car and visit Gangneung and Gyeongju. We celebrate Susanne’s birthday with a great sunrise and early morning swim. It is hard to say goodbye again. We continue cycling and from the coast where we left the bicycle go inland towards the farm where we would WWOOF together for another two weeks. During our time at the farm we make progress with the first mud brick house and learn more about Korean food and lifestyle. July: We follow part of the famous Four Rivers bicycle path back to Seoul gathering a few stamps along the way. We pick up our three months visa for China and take the ferry from Incheon to Qingdao. We cycle a lot for the next two weeks, cycling 1200 kilometres in 12 days on very busy and dirty roads. These roads we never photographed much because of endless traffic… We learn more about important Chinese cities, history and culture. The street food is great and daily we enjoy sausages on sticks, egg pancakes with chicken, steamed bread and delicious snacks. East China is definitely an experience. We make it to Xi’an and visit the Terracotta Warriors. August: Bicycle touring is never what you expect and even when you are having an easy day, it will always turn out differently. We have decided to head towards the mountains earlier and head more west instead of south (hereby missing Chengdu). Although the mountains are tough and the road has roadworks it turns out this was a good decision because of less traffic and less development. Martin gets a small flu and then Susanne. We cycled through Lixian, Minxian and into Tibetan lands past Hezuo and were very impressed by the Labrang Monastery in Xiahe. Looking back we have never thought much about cycling into Tibet and weren’t aware that we would encounter so much of the Tibetan people and culture. We were truly intrigued by not only the surroundings but also by the strong feeling of culture and heritage that is apparent. We are up at 3500 meters and on the Tibetan plateau. The Tibetan plateau and its nomads, culture and grasslands never stop to amaze and impress us. September: Starts with a very impressive pass which is rainy and hard up to 4600 meters. We are on the way to Seda to visit the largest Tibetan Buddhist Academy in the world, Larung Gar. This place really impresses us with red wooden shacks filling the valley. We are invited in by a few Tibetan families where we can view the Tibetan culture up-close. We cycle along the beautiful S217 and reach Litang. Cycling out of Litang we have a very large argument, probably the largest of our trip to date. Luckily we figure it all out and continue on our way again, traversing high passes and beautiful scenery. Cycling our highest pass at 4720 meters feels like an achievement and we meet Davide, an Italian long distance cyclist. We cycle past places that we have long thought about and were in our dreams such as Shangri-La, Lijiang and Dali. We meet western tourists in China! And slowly but steadily we descend off the plateau and into tropical Yunnan. October: Bananas, papaya, dragon fruit, pineapples, tea, coffee, rubber. It is all here in this part of China. We cycle up and down again over lush green hills. We cross the Mekong. And before we know it it is time to leave China behind after a total of 5 months. We cycle into Laos and relax in Nong Khiaw, Luang Prabang and Vientiane and cycle in between. Tourists are common and we feel like just another tourist on the banana pancake trail. November: We arrange our visa for India in Vientiane, meet a bunch of other bicycle tourers including: Yann & Aurelie, Matthew, Mark and Henk. We redesign the homepage of our website and work on some new articles, such as TwistingSpokes in … (here is the Laos version) and our first gear reviews. We cycle out of Laos towards Thailand on small steep roads. In Thailand we find the steepest road until now on our journey. 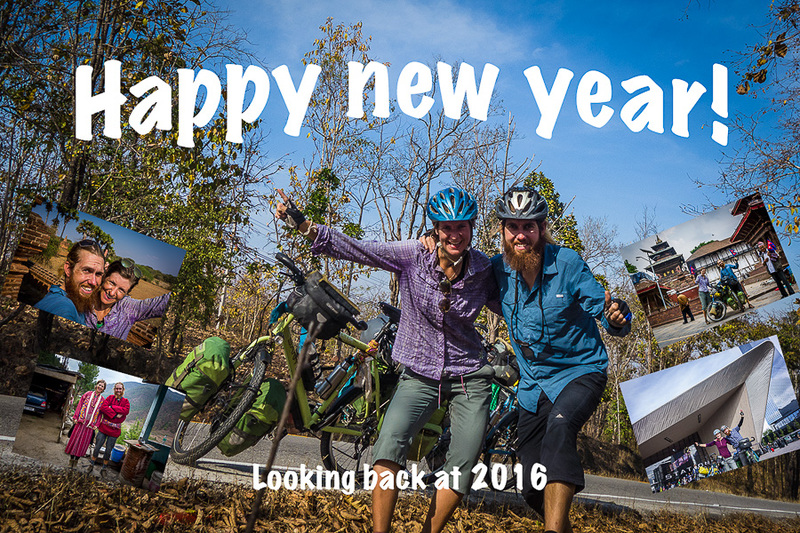 We reach Chiang Mai where we stay with Katie & Jared, Warmshowers hosts and bicycle tourers. We plan to stay here for a while to plan the next phase of our journey and think about life and our future plans. Once we are in Chiang Mai we enjoy Loy Kratong a yearly festival with lanterns. December: We receive news that Martin’s mother is very ill and she passes away. All our plans freeze and we prepare to travel back to Denmark for the ceremony. We make a small visit to the Netherlands while we are in Europe and take time in Denmark to spend Christmas with the family. Before the year is over we are back in Chiang Mai to celebrate New Year’s Eve with Katie & Jared, their families and fellow cycle tourers Andi and Tabea. 2015 was a hectic and diverse year for us! Some months we have barely cycled and during other months we have been beating kilometres. 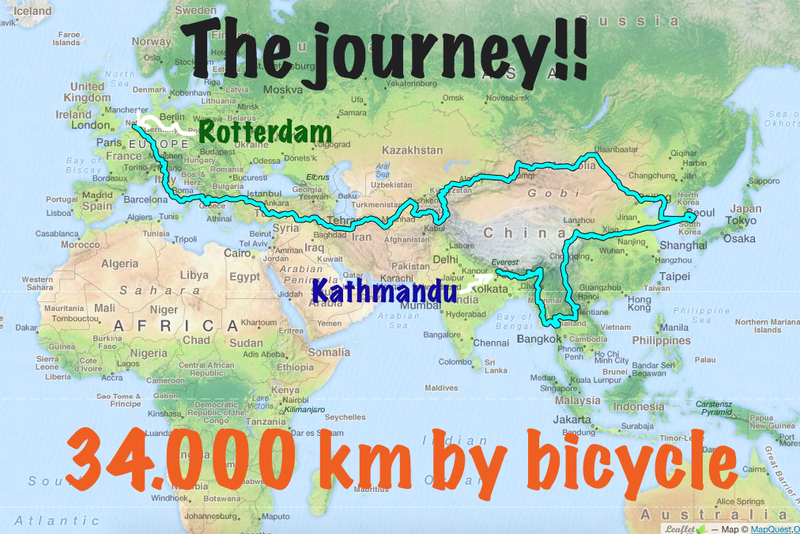 The total is approximately 12.000 kilometres cycled. China has really had an impact on this year and has become a favourite! It has been a year where traveling by bicycle has really become our lifestyle and the feeling of home is where we lay our head to sleep at night.